All about Lifestyle | Entertainments | Finance | Banking: Is Your Local Content Marketing Strategy Effective? Is Your Local Content Marketing Strategy Effective? Author Bio : Ronald Dod is a partner and CEO of Visiture, LLC. 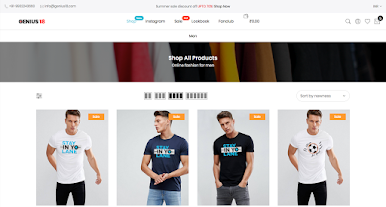 After founding Grey Umbrella Marketing, an internet marketing agency which focuses on Search Engine Optimization for eCommerce businesses, he merged with Visiture to create a full service search marketing offering for eCommerce businesses. 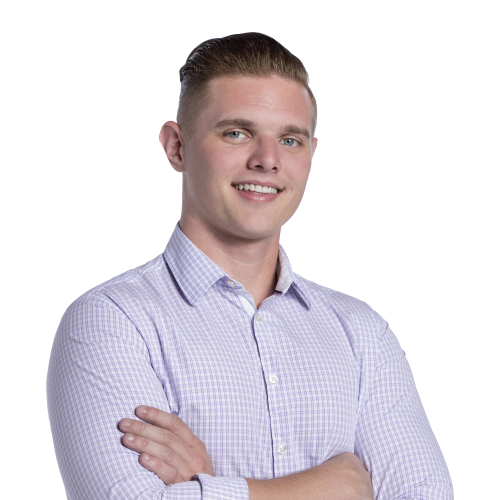 His passion is helping eCommerce business owners and marketing professionals navigate the search marketing landscape and use data to make more effective decisions to drive new traffic and conversions. He holds a Masters in the Science of Marketing from Florida State University and is certified in Google Adwords & Analytics. When you run a small, local business with a limited budget, it can seem like you are at a disadvantage when it comes to your marketing strategy. While big corporations can spend all they want on digital advertisements, how does the little guy compete? The answer may lie within your content marketing strategy. Commonly referred to as “the great equalizer,” this type of marketing can put smaller stores on as equal a playing field as big businesses. Additionally, smaller stores can take advantage of their locality and effectively zero-in on their target audience in their content marketing for a greater return-on-investment. 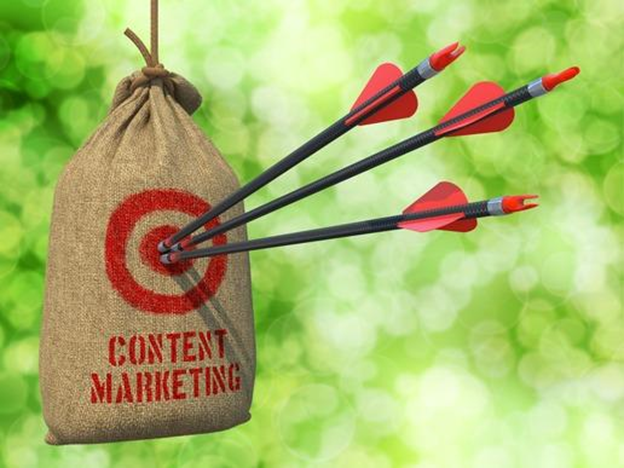 Many don’t realize that their content marketing goals will play an enormous role in what type of content they produce. For example, if your main goal was to attract more local traffic to your website, you would want to create content that is specific to your location and which is relevant to locals in particular. If your goal was to gain more followers on Twitter, your content would need to be something that is highly shareable and that spreads easily throughout the web. No matter what your goals are, make sure that you have them in mind when developing specific types of content. What do you want this content to achieve? By asking yourself this question, you can produce content that will reach your goal. Keyword research can be difficult and time-consuming, but it is a necessary task if you want your site to rank in search engines. If you want to drive local traffic to your website, you need to find out what keywords people are using in your area. For this task, you can use a variety of helpful tools. Google Keyword Planner can help you get ideas and find out what people are searching for in specific areas. 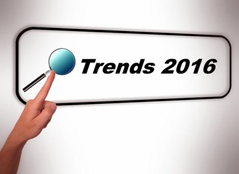 Additionally, Google Trends is another great tool for local keyword research. It allows you to see what people are interested in over a period of time, their interest in a specific region, and any similar terms that users searched for. For some, creating content is difficult. In fact, many aspects of digital marketing in general are complex, which is why many business owners rely on digital marketing agencies to do all the work. Those who can’t afford a digital marketing agency will need to learn how to research their target audience, and then write compelling copy that resonates with them. When writing insightful and original content doesn’t come naturally to you, this can be a huge challenge. In that case, it is important that you hire an excellent writer to do it for you, or at least learn the fundamentals of writing a good blog post. Implementing a content marketing strategy isn’t something that you can “set and forget.” Online store owners need to be consistent with their content and constantly find new ways to build upon their existing content. Those who don’t produce regular content will fail to keep their audience engaged, and their web traffic and sales will suffer as a result. If you find that your content has grown stagnant, one way to potentially generate interest from your target audience is by hopping on industry trends that involve your community. For example, writing content on a new law that recently passed in your city and tying it back to your business could gain you traffic to your site. You might not get tons of traffic from being specific to your local region, but this traffic could potentially result in higher conversion rates. The purpose of your content is not to sell your products or services—it’s to provide value to the user. This is what will help solve the user’s problem and give you a boost in search engines. This isn’t to say that you shouldn’t mention your business at all. Instead, you should subtly promote your business near the bottom of your content so that you earn the customer’s trust. This will give you a better chance at turning your visitors into sales. It is important that you make your content as effective as possible, and one way of doing this is through A/B testing. With A/B testing, you can find out what headlines will get you more shares or which blog posts got the most views. There are tools out there that provide free split testing, such as Google Website Optimizer, which allows you to find out what content seems to resonate most with your audience and helps you boost your bottom line in the process. How will you know when something isn’t working in your content marketing strategy? Additionally, how will you know when you have accomplished your goals? Being able to track and measure your progress is vital to any content marketing strategy, and marketers should define their list of KPIs after they make their goals. 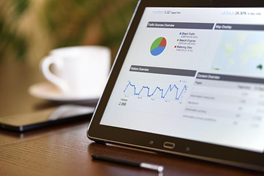 The most important KPIs will vary from business to business, but they can include things such as social media shares, bounce rates, page views, conversions, and organic traffic, among many others. Every day, thousands of marketers publish content on the web in the hopes of gaining greater visibility and increasing their sales. Local businesses are provided with an advantage in that they can zero in on their local consumers and provide high value content that helps increase their ROI. In order to capitalize on this, it is critical that your local content marketing strategy is effective and making an impact on your local audience.